GNOME 3.10 is expected in September and some of its newest features are beginning to appear in the 3.9 development branch. Version 3.9.2 is expected this week. 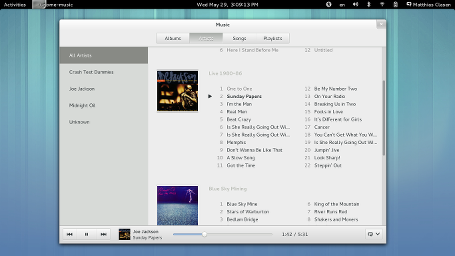 Here’s the few screenshots of the new Gnome version. 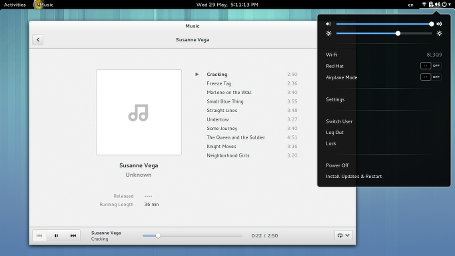 GNOME Music is a new app for, well, playing music. Of course, it can’t yet compete feature-wise with e.g. rhythmbox, but it looks fresh and promising. And it plays my music already. GNOME Maps is a map viewer. It is still in its infancy – it does not do much yet beyond loading maps and showing me my location. But that will soon change. 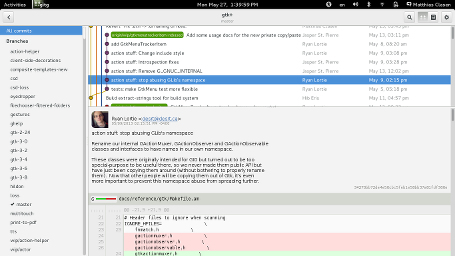 Gitg is a git repository viewer. It has been around for a while. Recently, it has been rewritten in vala and it is getting a visual refresh this cycle. 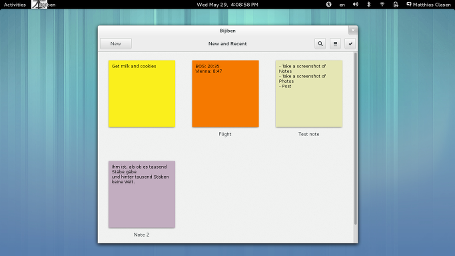 Bijiben is a note-taking application, it was available as a ‘preview’ in 3.8 (and you can install it in Fedora 19 by running yum install bijiben). For 3.10, it will be much more feature-complete, data exchange with tomboy and online accounts is planned. Totem is getting a face-lift, picking up user-interface elements from other GNOME 3 applications (while not losing any features). 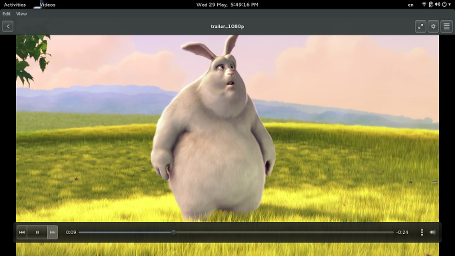 The GNOME shell status area may be getting a design update, combining most of the hardware controls into a single menu.